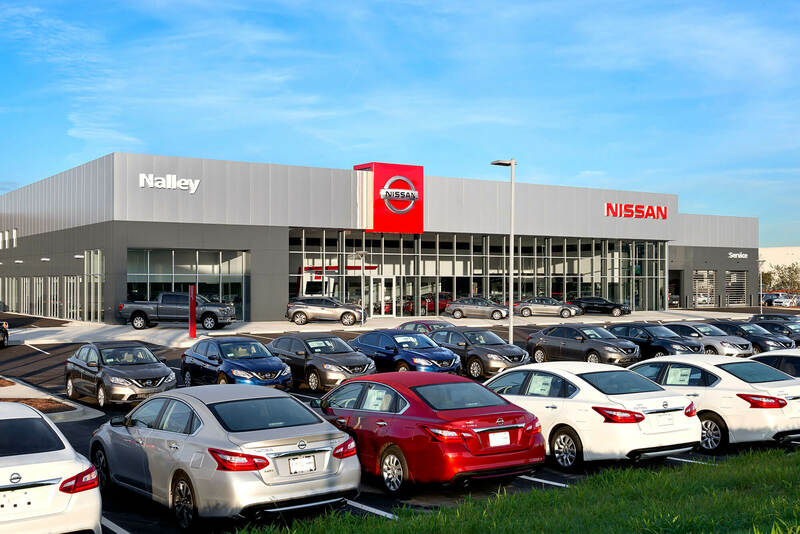 We have been Nissan’s North American signage partner since 2009, equipping their vast network of dealerships and corporate buildings with all of the brand signage support they need. When Nissan needed to make some big changes to their brand image, they knew just who to turn to for help getting the job done. 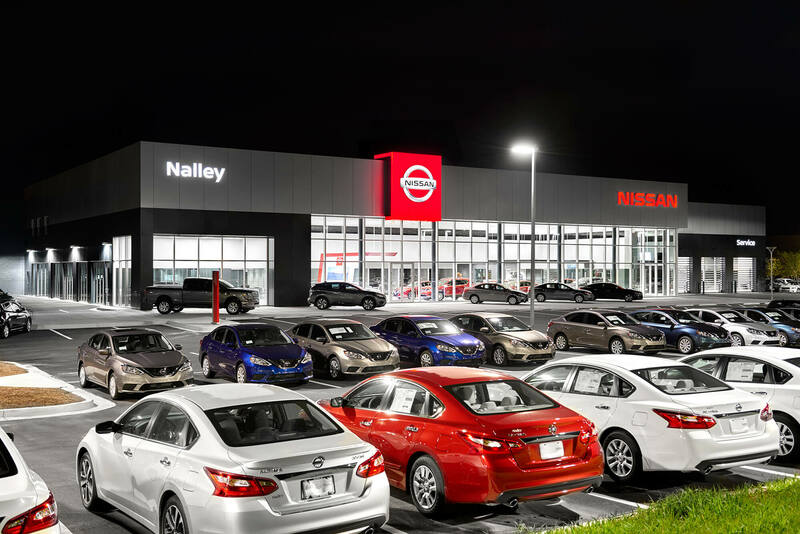 Nissan had created an exciting new look for their brand—and it required illuminated red signage to be installed at all of their dealership and corporate locations. They challenged AGI with developing the signage elements that would boldly transform the conceptual design to reality. 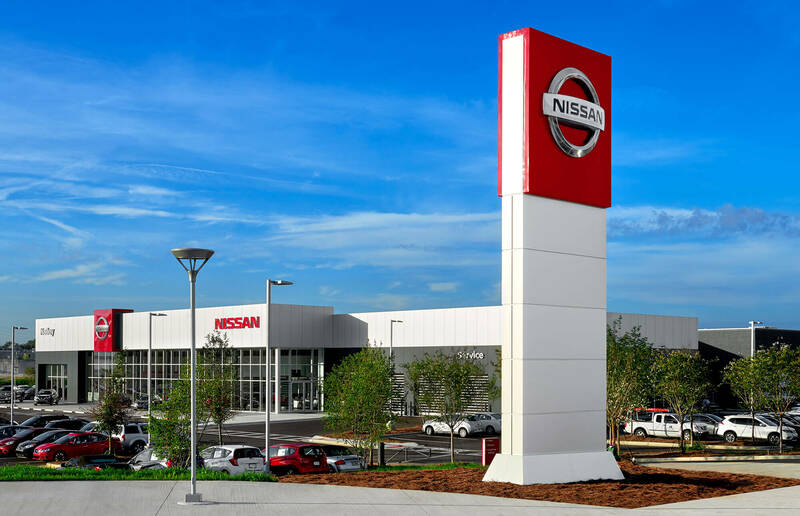 Using alternative material solutions of ACM, plastic and fiberglass, AGI developed, prototyped and manufactured what is now Nissan’s standard sign standard. The Nissan team selected a red fiberglass option that proudly projected the Nissan brand both during the day and illuminated at night. Our team put the new signage to the test to ensure it would stay vibrant over time: our accelerated 10-year weather tests proved the durability of our materials.